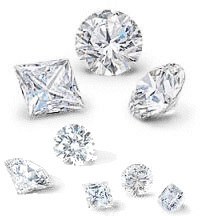 Our diamond search tool allows you to find the perfect stone from our extensive inventory by selecting a diamond shape, then specifying the price, carat, color, clarity range you desire. © 2011 Alek Vartan. All rights reserved.